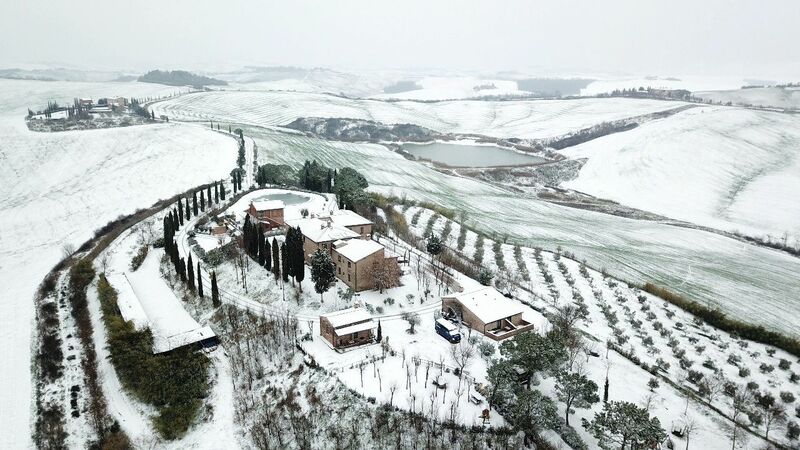 Set in the beautiful landscape of Crete Senesi, Podere Vesta gives travellers a typical Tuscan welcome. 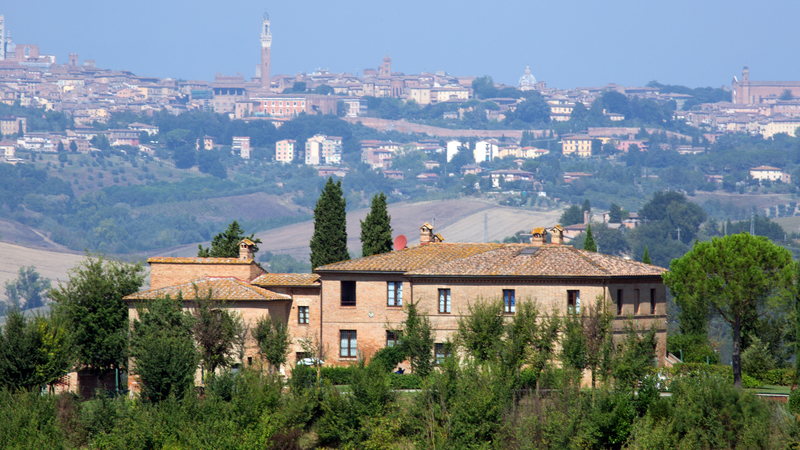 The city of Siena is the backdrop to the wide, open spaces immersed in nature and to the panoramic swimming pool, framing the group of four buildings which host sixteen bright apartments furnished in Tuscan Arte Povera. 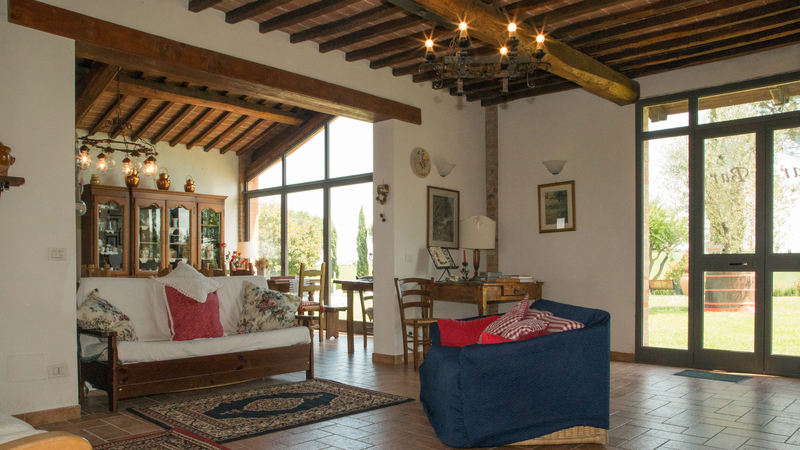 The materials used are traditional: brick, wooden beams, and wrought iron, with great attention to colour combinations. But Podere Vesta doesn't forget the comfort of its guests: with heating and air conditioning, satellite TV with international channels, bathrooms with hydro-massage showers, kitchens complete with household appliances, utensils and crockery, beds made on arrival and all bed and kitchen linen provided. All of the apartments have a furnished outside area and two sun loungers, umbrella and deck chair by the pool. 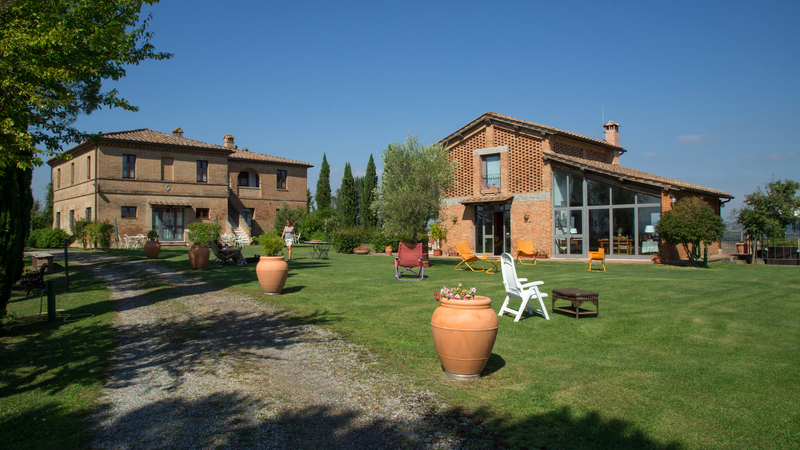 Because in Siena farm Podere Vesta is all about relaxing.